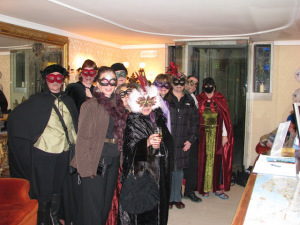 Put on your masks because today begins the world-famous festival Carnevale! But just what is Carnevale, exactly? 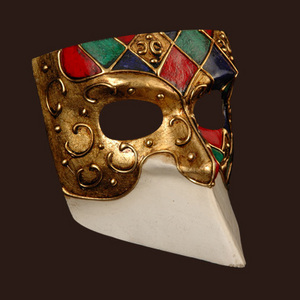 Venetian Carnevale is known for its elaborate, and colorful masks. Traditional masks represent a stock cast of characters and have a fascinating history. Some masks may even come with certain identities. 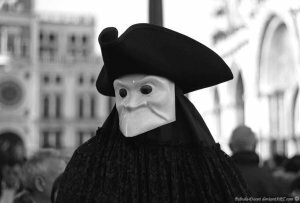 One example is the Bauta mask (La Bauta), which (male) citizens of 18th century Venice were sometimes required to wear for political decision-making to ensure that the process was anonymous. La Bauta is a mask that has a beak-like chin line and no mouth. It can be laced with color or be simply left white. Since La Bauta ‘s chin tilts away from the face does not cover the mouth, the wearer can eat and drink without having to take it off. 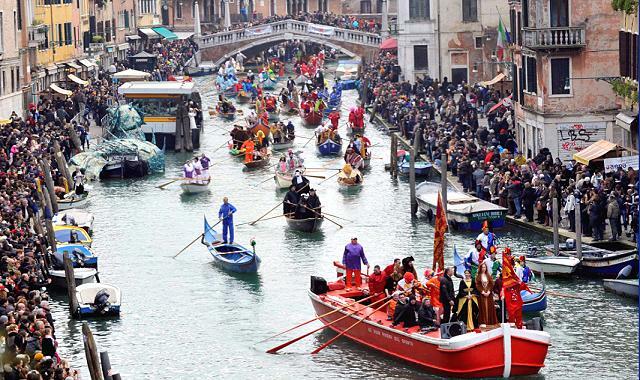 During the two weeks of Venetian Carnevale Venice is filled with exuberant parades, costume contests, and masquerade balls. Some events include a “Best Looking Mask” contest. 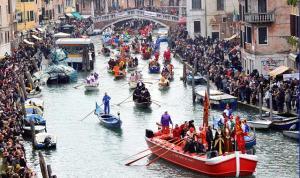 Be sure to check out this link to find the complete list of events taking place in Venice for this year’s Carnevale. In 2010, Sentieri took a trip to Venice for Carnevale. 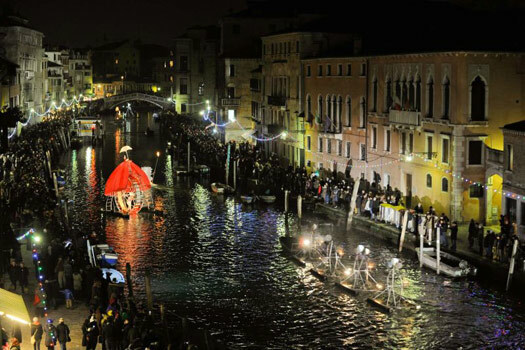 Please check out pictures to get a glimpse of us — and Venice — in masked splendor. If you are interested in hearing more about Italian culture, holidays, and Sentieri group tours, sign up for our mailing list, so that you can be notified of our upcoming events, tours, promotions, and classes. « Who is John Turturro?